Now here's something you don't see everyday on your average Streptocarpus! It's got a stem. 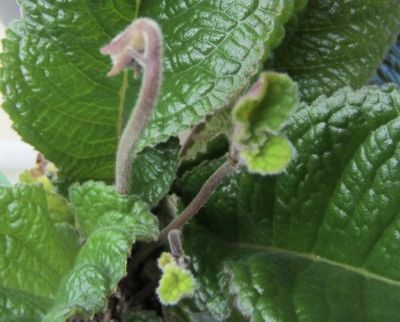 Streptocarpus usually do not have stems that are visible above the ground and are referred to as 'acaulescent'. 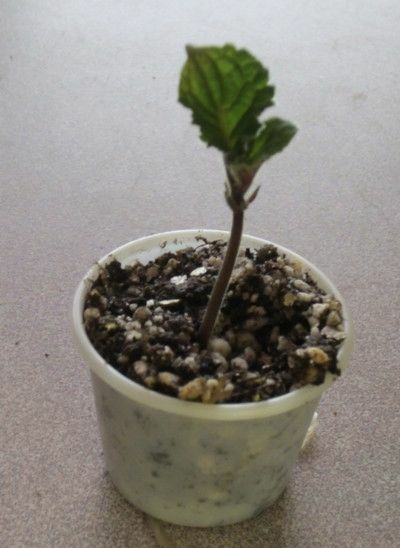 Here we've got the little stem with leaves planted in a Solo cup with some soil mix. Let's hope it roots and we can see what becomes of this rather interesting offshoot.